On 1 January 2017, a new UN Secretary-General took office. From day one, he will be responsible for more than 100,000 uniformed and civilian personnel on some 24 peace operations. The report of the 2015 High-level Independent Panel on Peace Operations (HIPPO) catalogued the challenges facing the system and made the case for change in the way the UN conducts its core business of peace and security. The statistics featured on the Global Peace Operations Review throughout 2016 have provided a snapshot of peace operations in the 21st century. 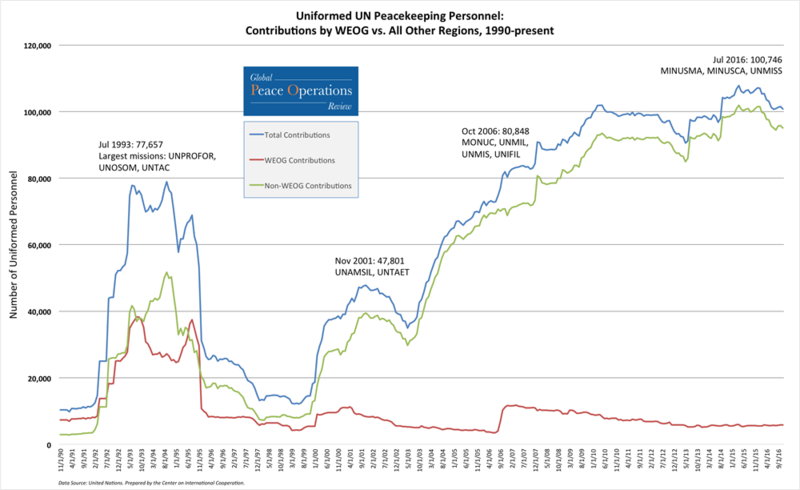 They can help illustrate where UN peacekeeping is [after 70 years], current conundrums, and where it may be heading. UN peace operations, comprise of 16 peacekeeping operations and 11 special political missions. 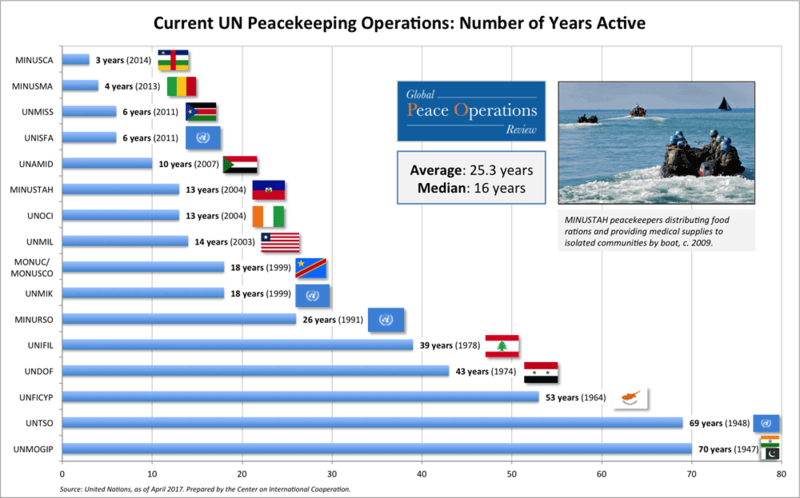 The average age of peacekeeping operations is 23.6 years, some classic monitoring operations such as UNSTO, stretch back almost to the beginning of the UN. These missions are those funded through the assessed peacekeeping budget. 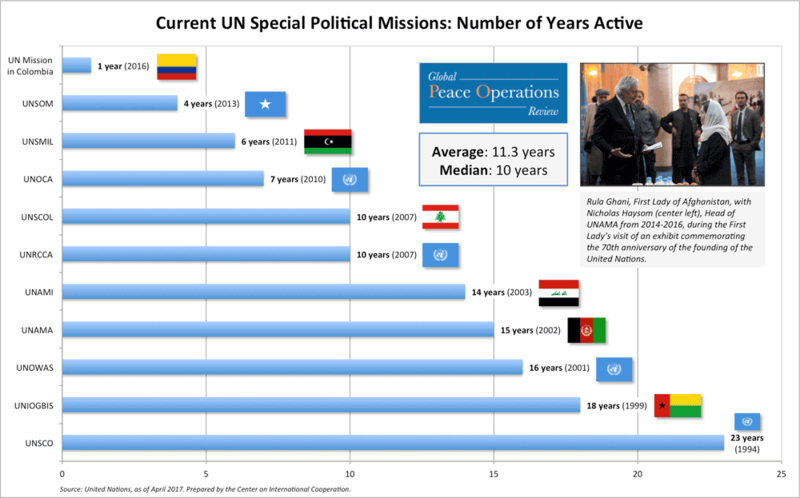 Special political missions are younger in age, averaging 10.3 years, and include UN Mission in Colombia, the most recent mission authorised by the Security Council in September 2016. They are funded through the UN’s regular budget. 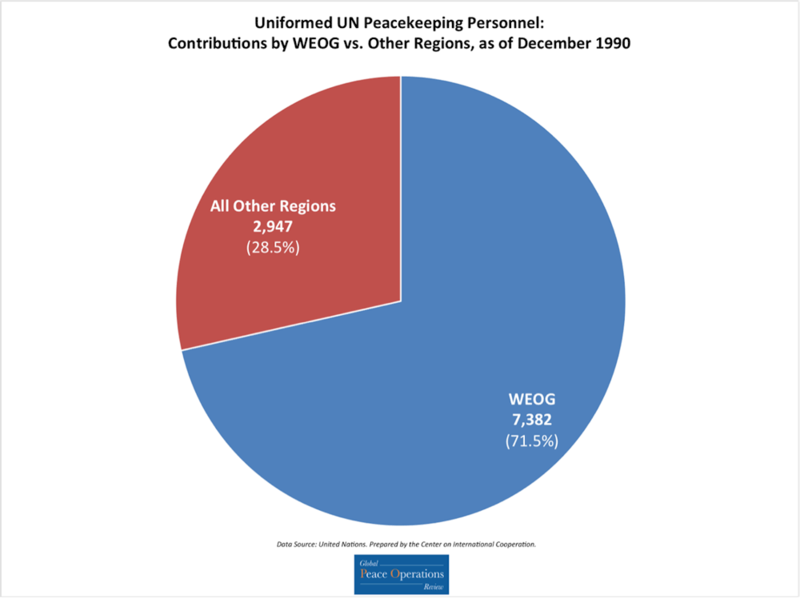 Detailed statistics on UN peacekeeping operations have been available since 1990. They show how UN peace operations have gone through a number of phases since the end of the Cold War. Originally conceived as a tool for ceasefire monitoring, these were small missions with modest mandates. They are best represented by the older missions such as UNMOGIP, UNTSO, UNFICYP, and UNDOF. 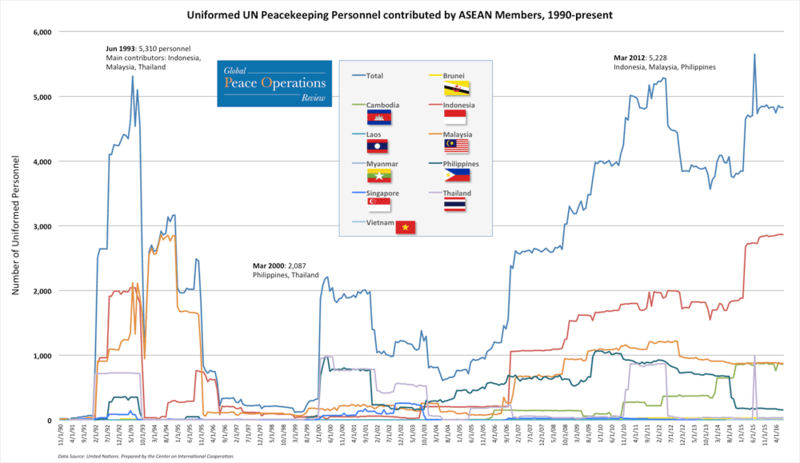 The surge in peacekeeping in the late 1990s and in the last decade reflects a shift to large, multi-dimensional missions such as UNTAET, UNMIL, UNIFIL, MINUSMA, MINUSCA, and UNMISS. At the end of the Cold War, UN peacekeeping consisted of small ceasefire monitoring operations and the personnel on these missions was dominated by contingents from Europe. As missions surged at the end of the Cold War, member states from the Western Europe and Others Group (WEOG) were still active but others were drawn in to fill the ranks of these new large missions in the former Yugoslavia, Sierra Leone, Cambodia, and East Timor. This trend can be viewed as a slideshow here. But in the “second wave” of operations that started from 2005, participation from troop contributing countries from the Western Europe and Others Group (WEOG), which includes Australia, Canada, and New Zealand, dropped off as missions shifted to Africa and contributors came from either the continent itself or a few key Asian countries, including Bangladesh, India, Nepal, and Pakistan. A motion graphic tracing Bangladesh's rise as a contributor to peace operations can be viewed here. 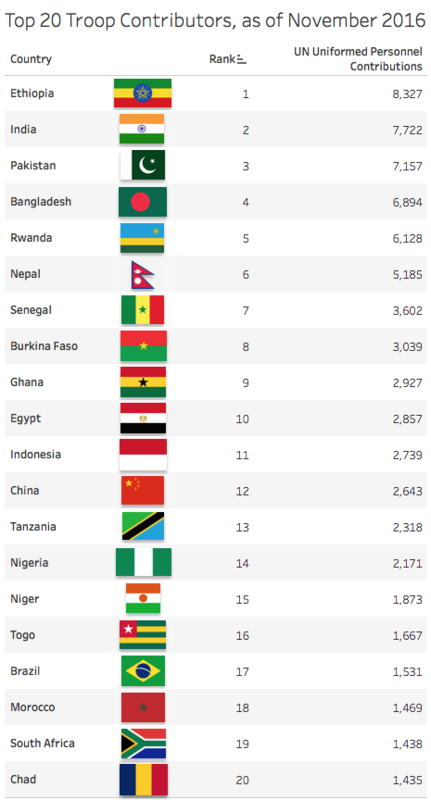 In 2016, there were no longer any WEOG countries in the Top 20 contributors to UN missions. This can also be analyzed by looking at contributions through the lense of uniformed personnel contributions by members of various regional organizations. The rising participation of the ten-member Association of Southeast Asian Nations (ASEAN) is driven by Indonesia’s commitment to reach a contribution of 4,000 personnel by 2019. 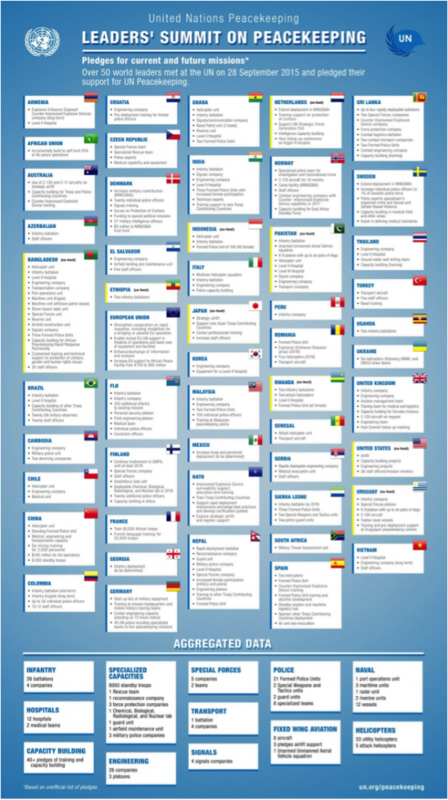 Large UN missions in French-speaking countries such as CAR (MINUSCA), Cote d’Ivoire (UNOCI), DRC (MONUSCO), and Mali (MINUSMA) have encouraged French speaking countries from La Francophonie to become significant contributors. Often these countries are neighbors with regional interests also at stake. As African peace operations came to dominate the UN’s deployed missions, neighbours became involved in rapid response operations. Regional Economic Communities (RECs) had high levels of political motivation to support such interventions but limited resources to sustain them. The Economic Community of West African States (ECOWAS) or the Intergovernmental Authority on Development (IGAD) initiated operations in their regions but then had them “re-hatted” as UN missions to allow them to be sustained for years and not just months. The Force Intervention Brigade (FIB) in MONUSCO became a reality only because regional countries were willing to contribute to it. The combination of these factors help explain the rising role AU member states have played in UN peace operations. 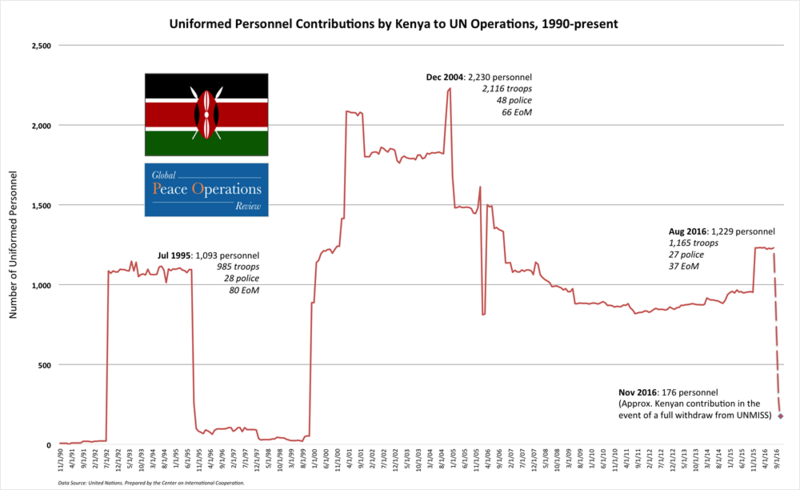 Against these dramatic increases in contributions by nationality, there has been a different story to tell on uniformed personnel and gender. 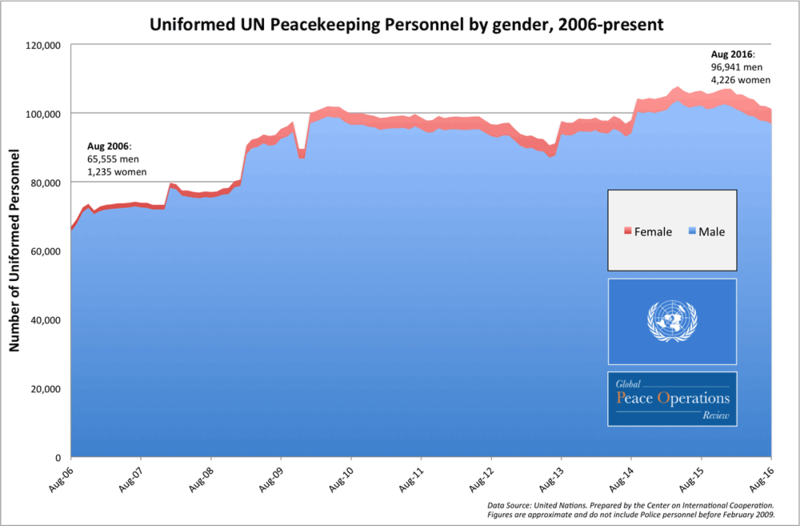 UN missions have struggled to increase the number of women in peace operations. For the period since statistic collection was begun in 2006, there has been little change in women’s participation in UN peace operations. As the HIPPO reported noted, “there remains a poor understanding of the potential of both integrating a gendered perspective and increasing the participation of women at all levels of political and civil life, and most especially at leadership level”. The panel called on the Secretariat to develop a gender-sensitive force and police generation strategy to address the recruitment, retention, and advancement of female uniformed personnel. 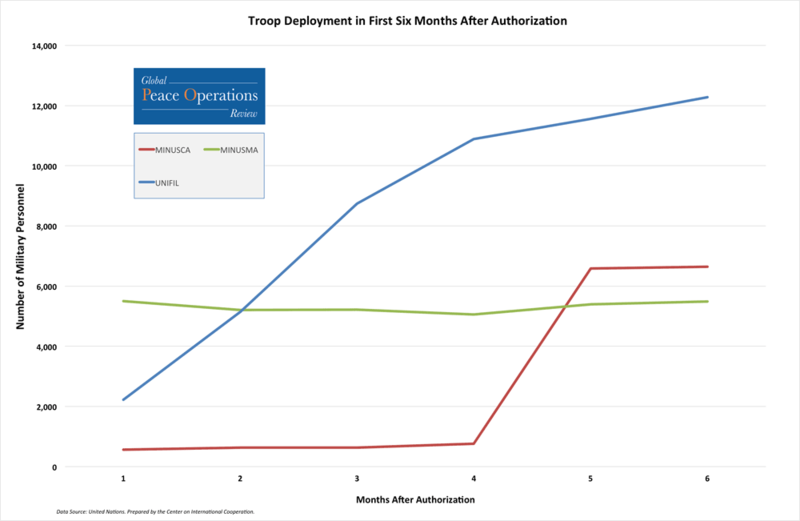 The way the forces of key troop contributing countries are structured makes changing uniformed participation rates difficult. But as the analysis of former SRSG Karin Landgren has shown, there is a lost agenda for increasing women’s participation in the UN Secretariat itself. 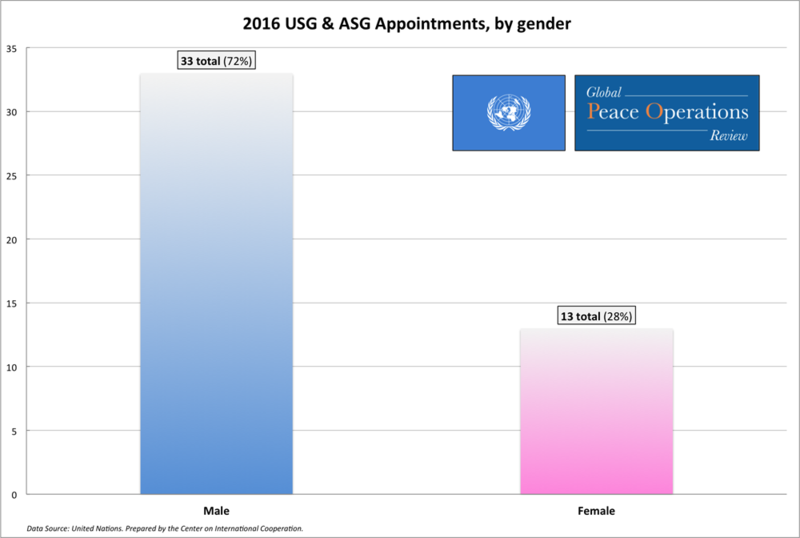 In 2015, she found that more than 90 per cent of senior appointments by UNSG Ban Ki-moon were male. In 2016, the number was only somewhat better at 72 per cent. If leadership on gender parity is to come from the Secretariat, then it would be important to set a tone in how headquarters and senior appointments are managed. The incoming Secretary-General has already signalled his intent during the selection process to rectify this obvious gender imbalance. After his swearing in, he called it the number one priority of his first 100 days. Mr. Guterres committed in his vision statement to “implement a roadmap for gender parity at all levels, with clear benchmarks and timeframes within the next mandate, giving priority to senior staff selection”. The turnover and number of new appointments in the early part of the new SG’s tenure will be large and any real policy shift should be readily apparent. 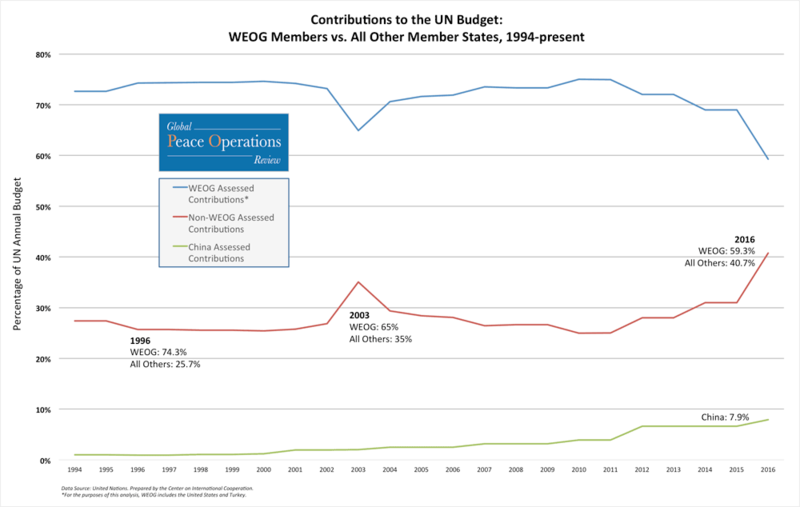 Despite their under-representation on the ground, the financial contribution of WEOG countries to UN peace operations as a percentage of the UN peacekeeping budget has remained steadier. In recent years, as the budget has shrunk, it has increased in percentage terms. At the same time, as its economy has grown, the contribution of China has been increasing. 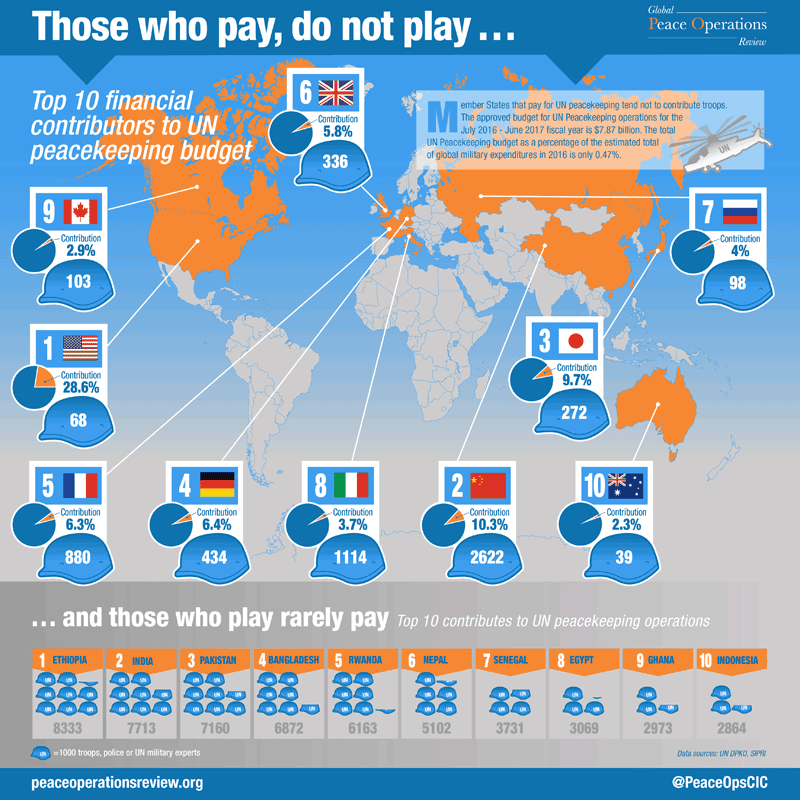 This creates a gap between those who pay for UN peacekeeping and those who contribute. 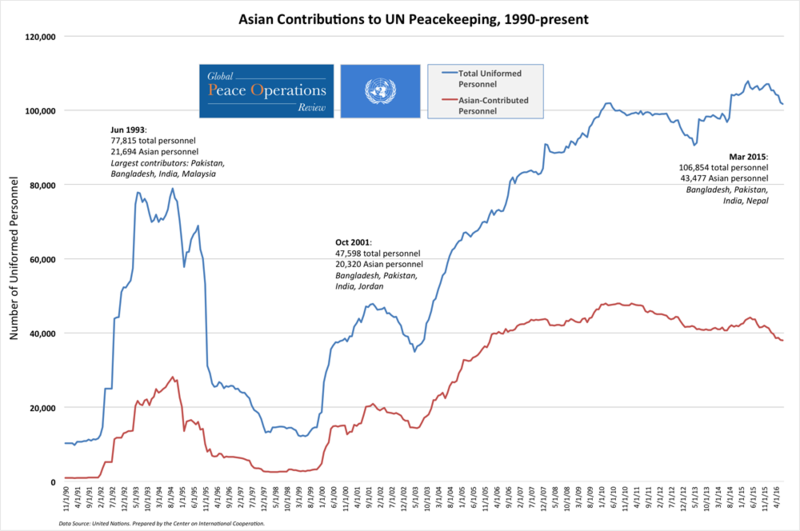 China’s growing role as a contributor and payer to UN peacekeeping makes it unique among the Permanent Five members of the UN Security Council. What are some of the challenges that have arisen in 2016 that can be or have been represented statistically or graphically? 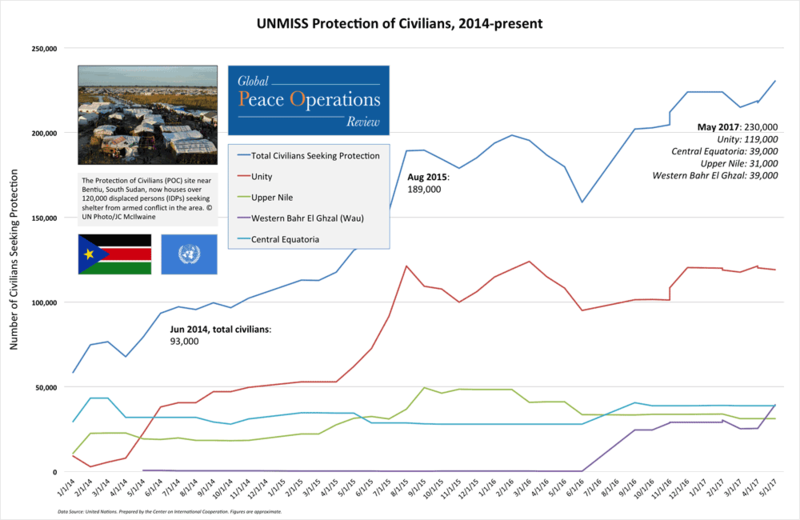 Even as there is increasing evidence that protection of civilian (POC) mandates are challenging UN peacekeeping operations and there is consider discord about these mandates, the numbers of civilian seeking sanctuary in the UN Mission in South Sudan has increased. Rapid deployment is still a challenge for the UN, with peace operations taking almost eighteen months to reach 85 per cent deployment. The Security Council authorized a regional protection force for UNMISS in Juba following violence in July, but there is a mismatch between what the Council mandates and what troop contributing countries are prepared to provide. 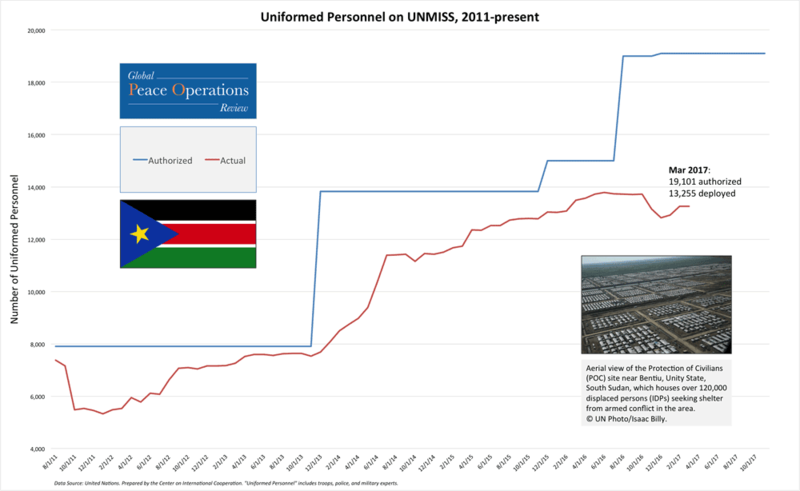 This is going be a greater challenge after Kenya announced it planned to withdraw its contingent from UNMISS after the force commander, also a Kenyan national, was dismissed in early November 2016 by the UN Secretary-General as a result of the findings of the Independent Special Investigation into the violence which occurred in Juba in 2016 and UNMISS response. It is a delicate balance when the UN generates peacekeeping forces encouraging countries to contribute the types, quality, and quantity of personnel needed. 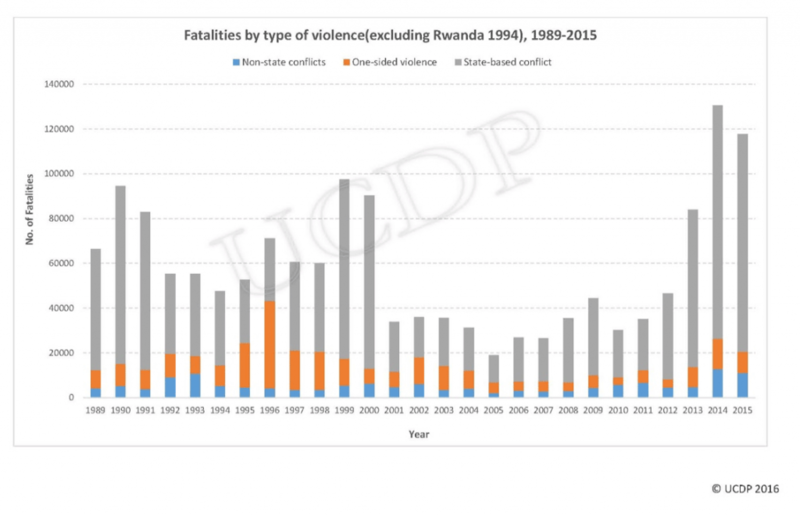 Peacekeeping is still a dangerous business, but not necessarily for the reasons that grab the headlines. A recent IPI report by Marina Henke suggests, seemingly counterintuitively, that fatalities resulting from malicious acts and accidents are not on the rise. Instead, illness related UN fatalities are steadily increasing, and this increase is strongly statistically significant. The September 2016 London Ministerial called for improvements in UN peacekeeping in three areas, the “three Ps” of peacekeeping: planning, pledges and performance, but since the HIPPO report, many have not yet heeded its call to understand UN peace operations as first and foremost as political tool. In 2017, troop contributing countries will meet again in Canada to consider progress. Domestic politics can also influence UN peace operations. Since the election of the Trudeau government in November 2015, Canada has committing to returning to UN peacekeeping after a decade of very low rates of participation. What impact will the US election have? The big question mark as 2016 ends and the new UN Secretary-General takes office in 2017 will be the impact of the new Trump Administration in the United States. Many see difficult times ahead and a return to the troubled relationship the US had with the UN under President George W. Bush. 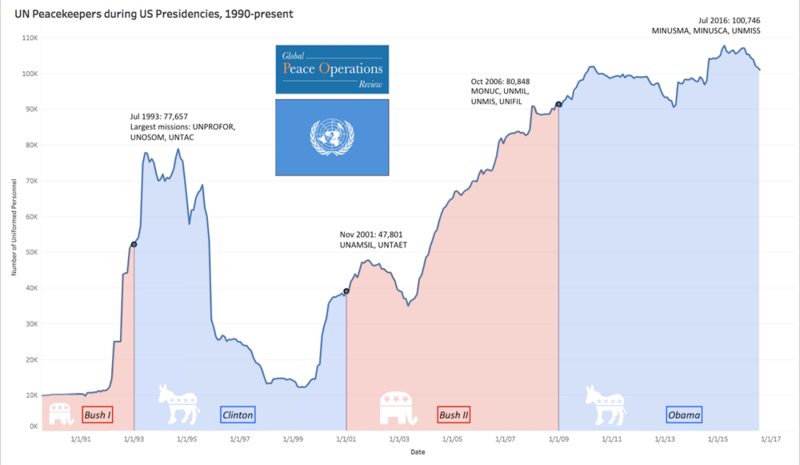 Historical statistics tells that there has been no clear impact between changes in government in the United States and UN peace operations. 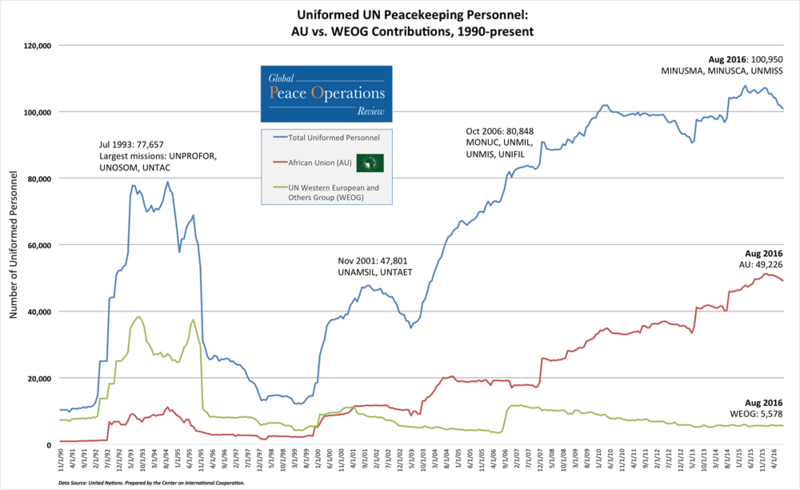 Numerically, since the end of the Cold War, UN peace operations have gone up and down under both Democrat and Republican administrations. The impact at the end of 2016 is difficult to predict as the new administration comes to office in January 2017 with some anti-UN rhetoric, but no actual policies or working level personnel who might develop them. Until then, the default may well be the status quo. The goal of Global Peace Operations Review is to contribute to the increased effectiveness of peace operations. Whatever their actual or perceived shortcomings, this is a tool of international policy that can work if used appropriately. With conflict globally on the rise, the need for it is obvious. 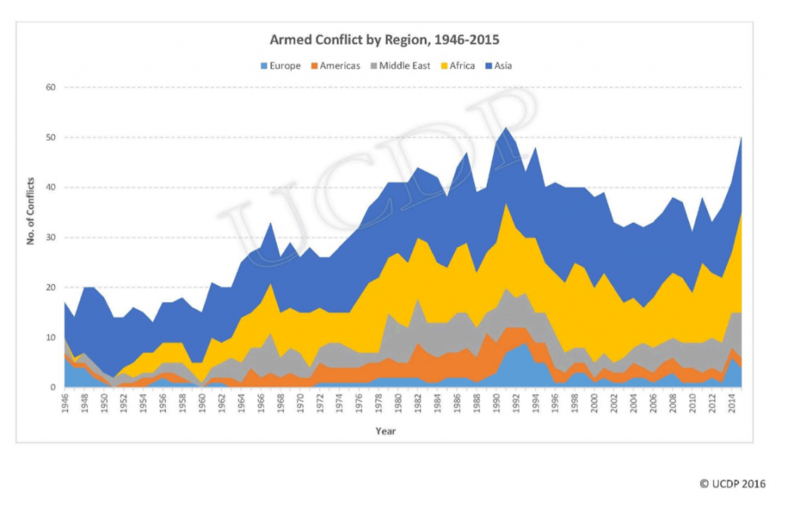 The consequence of the increase in conflicts is a corresponding rise in fatalities, which have also risen in recent years. The bottom line is larger number of people, often civilians, are being killed. UN peace operations are one tool available to try to reverse this trend, but often used as a Band-Aid after efforts to prevent a conflict have failed. With the new Secretary-General and five fresh members on the UN Security Council, the challenge now for these institutions is to do a better job than their predecessors at conflict prevention, making peace, supporting the political processes that undergird it, and then sustaining peace. Ryan Rappa is a data specialist at the Center on International Cooperation.